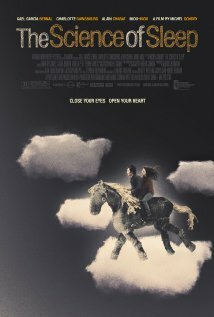 Taglines: Close your eyes. Open your heart. Acquired by Warner Independent Pictures at 2006 Sundance for $6 million. Stephane: Hi, and welcome back to another episode of "Télévision Educative". Tonight, I'll show you how dreams are prepared. People think it's a very simple and easy process but it's a bit more complicated than that. As you can see, a very delicate combination of complex ingredients is the key. First, we put in some random thoughts. And then, we add a little bit of reminiscences of the day... mixed with some memories from the past. The Science of Sleep is most likely the best and most visionary film playing at Sundance this year (I say most likely because I've only seen two, but I doubt that anything can top it). Furthermore, I believe that The Science of Sleep is one of the best and most visionary films I've ever seen. 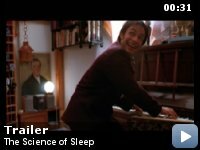 The Science of Sleep is about Stephane (Gael Garcia Bernal), a creative and naïve dreamer who moves from Mexico to his childhood home in Paris after his father's death. He takes a job at a calendar company, assuming that it will allow him to express himself creatively. Living across from Stephane is Stephanie (Charlotte Gainsbourg), an equally creative woman. They form a relationship and as it grows, it becomes threatened by Stephane's overactive dream world, which begins creeping into his waking life. The Science of Sleep marks the screen writing debut of director Michel Gondry. This is Gondry's third theatrical feature film, after Human Nature and Eternal Sunshine of the Spotless Mind. 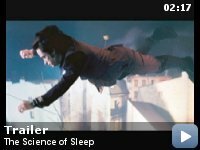 Much like last year's Kiss Kiss Bang Bang, where it was unfiltered Shane Black on the screen; The Science of Sleep is pure Gondry from start to finish. 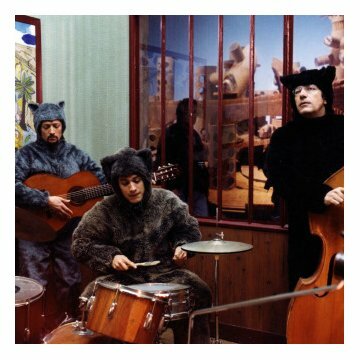 This is Gondry's immense visual world unrestrained by a script by Charlie Kaufman, and this world of fancy and imagination is where the film flourishes. The title sequence is set to the image of spin art (think back to the days of your school carnival) as we enter Stephane's active dream world. The paint layers upon itself as the colors stretch further and further outward, while we hear Stephane dreaming. This perfectly sets the tone for the rest of the film as we see bright and vibrant imagery and characters layered upon each other and pulled outward into their worlds. The magic of the sequence is broken, though, when we are immediately brought into the real world. Stephane's real life is as banal and mundane as anyone could imagine. As an artist, he feels suffocated in a job where he "glues in a basement all day." In his own time, he creates inventions such as 3D glasses for real life ("Isn't real life already in 3D?" asks Stephanie) or one second time machines. His indomitable creative spirit is what he finds mirrored in the equally creative, yet more realistically centered Stephanie. In direct contrast is Stephane's dream world. It is outlandish, beautiful, and unrestrained. It is in these sequences when Gondry takes flight. The sequences are filled with so much eye candy it is difficult to take in. They range from the absurd (a spider typewriter), to the grand (an entire cardboard city), or to the beautiful (a cloth horseback ride to a boat on a sea of cellophane). What makes the sequences all the more incredible is that, for the most part, he relies only on practical effects. Also remarkable is the way that the dream world represents the film's reality. The film is so very aware of itself and its intentions and the dream sequences utilize that knowledge to the full extent. As the dreams begin to invade the real world, this knowledge becomes even more vital. Gondry's meticulous attention to detail is a benefit, seeing as he does not confound himself, and therefore does not confound the audience (for the most part). It is also filled with wonderful dialogue, and it finds transcendent humor through the characters. By using truth instead of punch lines to provide the humor, Gondry adds another layer to his already versatile film. The dialogue is in French, English, and Spanish, each seamlessly interweaving with each other, much like the realities of the film interweave. There comes a point in the film where you stop realizing the language of the film is constantly changing. It comes as the three worlds represented by the language (the Spanish is who Stephane was; the English, he who is now; and the French is his dream of the future) begin to merge into Stephane's one reality. The film truly ascends to its full potential when it arrives at such an incredibly heightened state where we have little idea if we are in reality or in a dream. It is a language of its own, and in and of itself, it is seamless. The Science of Sleep is not simply a visual wonder of a film, either. The performances are touching and heartfelt. 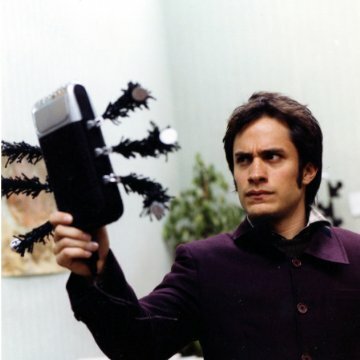 Gael Garcia Bernal continues to be one of the most talented actors working. His performance is filled with so much raw emotion, giving a strong emotional core to the film. 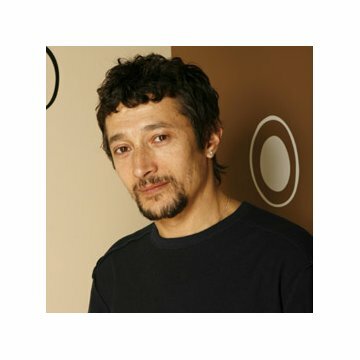 I believe that without his powerful and nuanced performance, the spectacle of the film would have been too much; however, Bernal keeps it grounded in reality with a performance so truthful that the insanity happening around him seems completely believable. The same can be said of Charlotte Gainsbourg as Stephanie, as well as the myriad of supporting actors, each playing fully developed characters. Few films ever achieve their full potential, this exceeds it. The Science of Sleep is a film that will excite you with its visual fancy, and touch you with its powerful emotion. Michel Gondry has created a film that even through the unbelievable proceedings, has so many deftly-crafted human moments. Deep down, this film is a love story. Going back to the title sequence's spin art, below all of layers being spun and pushed around run currents of human emotion which Gondry smartly anchors the film with; therefore, allowing it to soar.